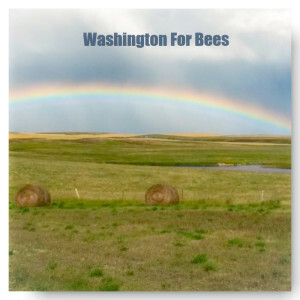 Building a quality bee lab at Washington State University capable of addressing current and future bee issues in the state. Funding a full-time WSU research-apiarist position. Funding a full-time WSU pollination ecologist position. Researching ways to incentivize increased bee forage on croplands, after weed control, and on public lands. For many years, Cal-State Davis was the leader in beekeeper/agriculture research and outreach. The recent retirement of key personnel there created a void that could be filled with Washington state specific research, outreach and grower communication. A full-time extension/research apiarist position, in addition to the current faculty, would bridge the gap between researchers, beekeepers and growers by conducting and disseminating research to those who provide and use pollination services to maximize effectiveness and minimize risks. A full-time pollination ecologist would address honey bees as part of the larger population of pollinators and the ecosystem, providing risk assessments associated with weed control and pesticides and guidance on better yields through applying pollinator science. All pollinated crops stand to benefit from these positions. Examples of WSU Research here. Washington State University is doing the best it can with its limited physical facilities for honey bee research. It is currently the only US lab doing genetic work on honey bee lines by gathering and storing germplasm from international sources. The WSU College of Agricultural, Human, and Natural Resource Sciences is pursuing beekeeping industry support for a new Honey Bee Research Facility. This new facility will provide a germplasm repository for top-tier genetics from the US and international queen breeders. It will include a controlled atmosphere/refrigerated storage facility to test innovative technology for winter storage of honey bee hives. Most of the colony loss suffered by Washington beekeepers occurs while the hives are wintering and are not active. Current research conducted at WSU is promising in that large reductions in winter hive mortality have been seen through indoor storage, refrigeration and atmospheric control. The new facility would enable more accurate studies of this technique. Plans are being completed and industry support will follow. Once the new facility is finished, there will be space to greatly increase the effectiveness of honey bee research and outreach that is currently limited by their undersized and outdated facility. The full-time research/extension apiarist and pollination ecologist positions then should be filled.